Good Clean Fun That Everyone Can Enjoy! What to expect–Shows often range from 1 hour to 1.5 hours. The body of the show is a mix of group and individual skits that are highly entertaining and never embarrassing to the participants or the audience. The show wraps up with comical post-hypnotic suggestions and motivational messages to all participants. The show concludes with closing remarks and educational messages. Go to our Contact page to request more information or to schedule a show. 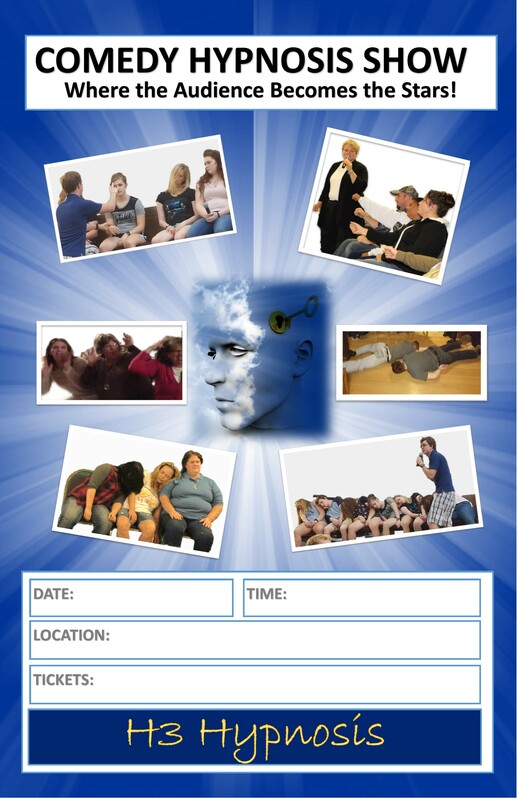 H3 Hypnosis provides clinical hypnosis for personal healing, creating healthier lifestyles and clean hypnosis shows that are entertaining for the whole family.